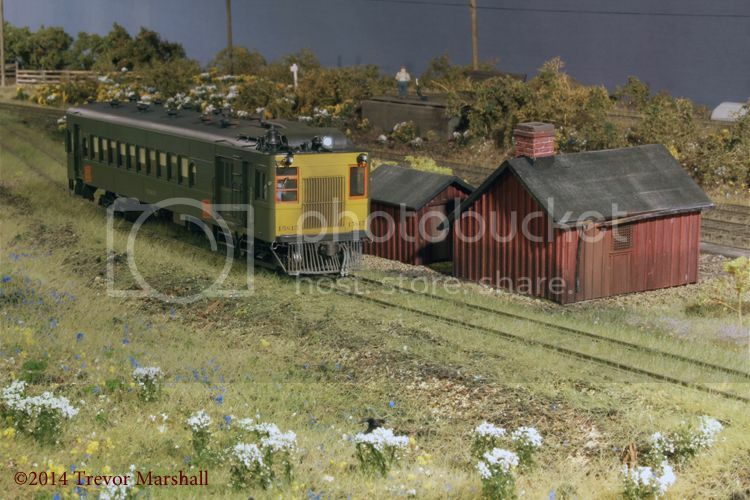 I didn’t need this – but when I found an S scale model of an EMC gas electric, I just couldn’t resist. About a month ago, during a visit from my friend Chris Abbott, he took my CNR gas-electric for a spin – literally – on the turntable at Port Rowan. And we noticed a minor blip in the sound in two places – once on the turntable lead, and once as the turntable rotated through the polarity-switching section of the pit rail. Overall, the gas-electric has been a terrific performer, but that just made these two minor glitches all the more apparent. I decided to address that by adding a keep-alive module to the unit’s sound decoder. 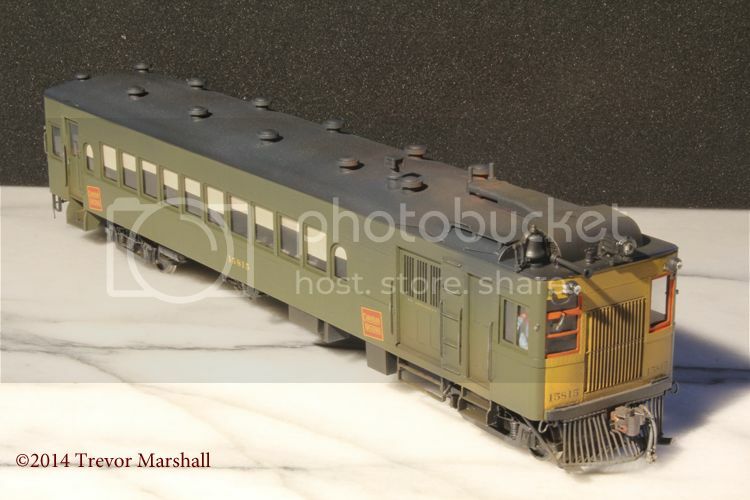 I like to shop local but I was looking for some oddball components for another project, so I placed an order with Tony’s Trains and added a TCS KS2 to the list. The goodies came in today – and within the hour, I had the doodlebug apart and the soldering iron warmed up. In the above photo, a pair of wires – pale blue and black – emerge from the left side of the KA2 and run about three quarters of the way along the Loksound decoder. 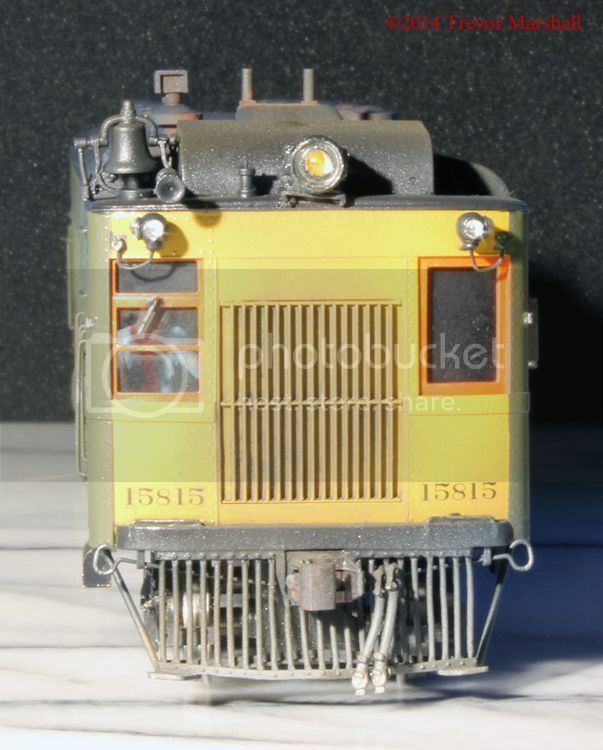 This decoder – a LokSound Select Direct – is actually a LokSound Select Micro plugged into a motherboard to allow it to be dropped into many HO scale RTR models. Very clever. To connect the KA2, I had to pull the decoder from the board then solder the wires to two extremely tiny pads. 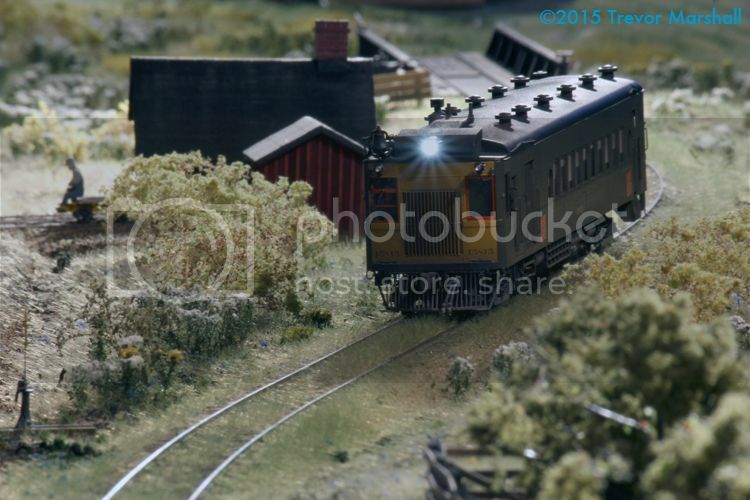 (Thanks to Hank at Tony’s Trains for the installation advice. Thanks also to those who have done this before, and shared their knowledge on the ESU LokSound Yahoo Group.) Fortunately, my eyes are good and my hands are steady. It took longer to pull and replace the six screws that attach the body to the frame than it did to make the connections. I’ve tested the gas electric on the turntable and lead, and operation is now truly flawless. Was it worth the extra money and time? Definitely. I’ve just taken a very good unit, and made it better. The decoder is an ESU/Loksound Select board, loaded with an early GE diesel prime mover – the kind used in the 44-Tonner. While I’m sure a gas-electric sounds different – in the same way that a gasoline-powered automobile sounds different from a diesel automobile – I’m happy with this unit’s “voice”. It burbles appropriately to my ear – and it should be noted that most of the CNR’s self-propelled passenger carriers were diesel-electrics (or “oil-electrics” as the railway called them). If ESU ever produces a gas-electric sound file, I can simply reload it. Or I can swap out this decoder for one from QSI, which does offer a gas-electric. The sound escapes from the model primarily through the windows in the baggage doors, which do not have glass installed for this reason. I’ve reduced the maximum voltage (CV 5) to about half of the available range, with a suitable adjustment to the mid-range voltage (CV 6). I’ve also added a fair bit of momentum to both acceleration (CV 3) and deceleration (CV 4). This unit runs very smoothly at realistic speeds. While I don’t plan to replace the conventional, steam-powered mixed train on my layout, CNR 15815 will add some variety to operating sessions. 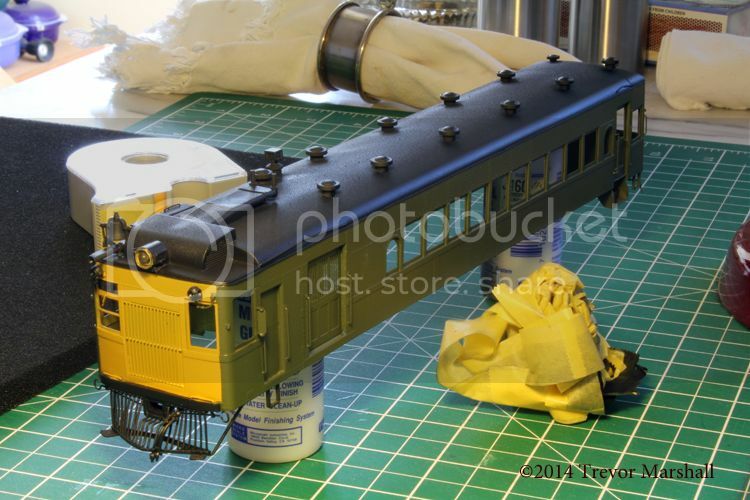 It runs well – very smoothly and slowly – and as a complete train it’s a natural choice to take whenever I’m participating in S Scale Workshop exhibitions, too. 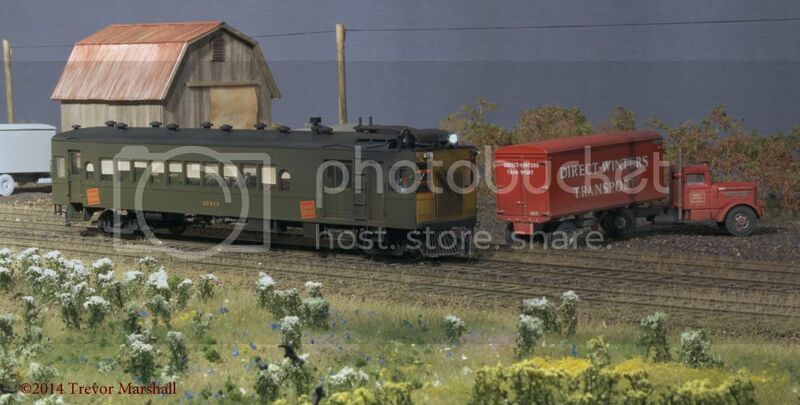 I’m glad I picked up this model at this year’s S Scale Social. I wonder what I’ll find next year? Yesterday I put the finishing touches on my CNR gas electric, and this morning I applied a coat of weathering to finish the model. I’m really pleased with how this model turned out – and I enjoyed learning about the CNR’s fleet of self-propelled vehicles in the process. I look forward to putting CNR 15815 into revenue service in the near future! But in reviewing the photos in Self-Propelled Cars of the CNR by Anthony Clegg, I noted a few images of equipment adorned with the red wafer instead. The general rule about this wafer – or so I’m told – is that it was only used on wooden passenger cars. But it appears some paint shops made an exception for self-propelled equipment. 1 – I like the splash of colour the wafers add to the gas electric. 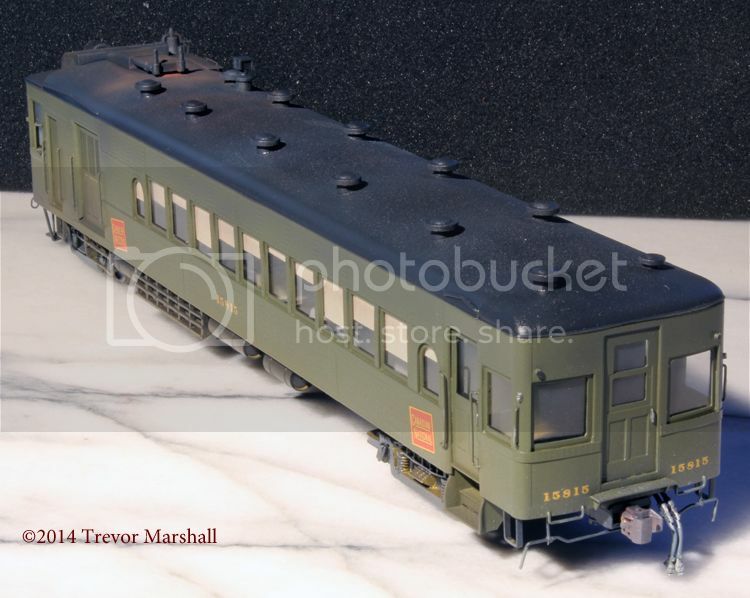 2 – I already have two steel passenger cars in the solid green scheme with CANADIAN NATIONAL spelled out above the windows. This adds some variety. As mentioned previously, the CNR had only one EMC gas electric – an RPO unit (15805) that operated on the Grand Trunk Western. Comparing the number jumbles on my decals to the roster list in the Clegg book, I discovered I could easily create 15815 – a number originally carried by a Ledoux-Jennings gas car that was scrapped in May of 1930. Since there are a few examples of numbers being reused, it seemed like a good place to slot in my doodlebug. I used lettering from two sources for this model. The gold lettering and the red wafers came from an S scale set – CNR passenger cars (1930-1961) – from Black Cat Publishing. 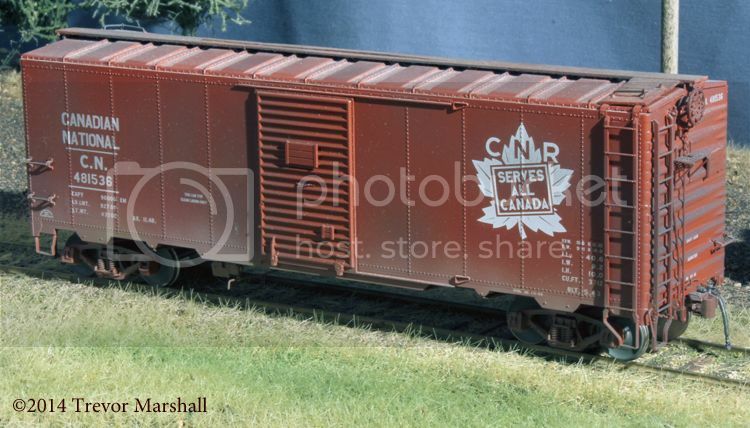 I needed a smaller font for the black numbers on the front of the doodlebug – and found those in an HO scale set for Canadian National passenger cars, produced by Microscale for the CNR Historical Association (set 300-006). 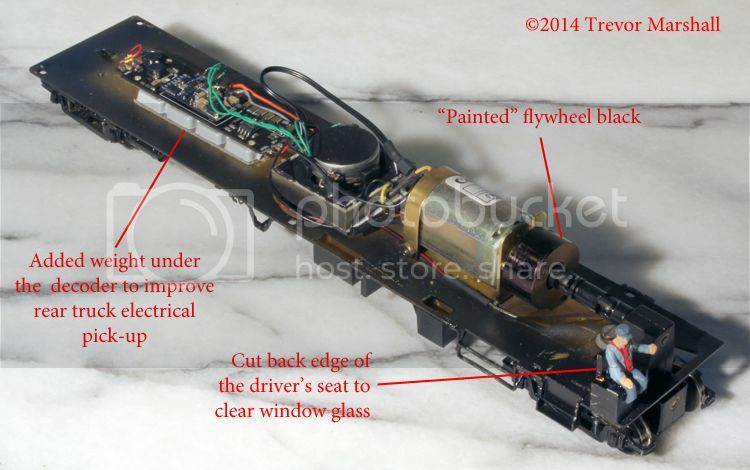 I’ve tweaked the chassis on the gas electric to make a few improvements, as noted on the above image (click for a larger view). 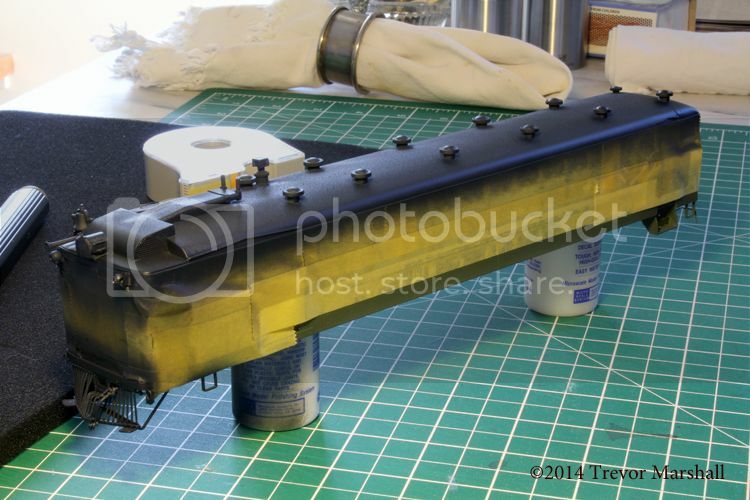 1 – I “painted” the flywheel black. Actually, not painted: I inked it black with a permanent marker. I did this because the flywheel lines up with the baggage doors on the body shell and I noticed that when it was bare brass, the spinning flywheel would “flash” behind the windows. 2 – A little bit of weight over a trailing truck never hurts, so I’ve added 28g (approximately 1oz) under the decoder. Electrical pick-up is already good with this truck – but could be better. 3 – The driver’s seat is a lump of brass. I realized that the seat back rubbed directly against the inside of the body shell – and that this would interfere with adding glass to the driver’s window. Some work with a saw has provided clearance for the glazing, while a bit of paint covers the damage. On a technical note, I moved all of the gas electric photos to a new album on my photo-sharing site. I think that I have updated all the links – but if you experience any broken links, try refreshing your browser. If they’re still broken, let me know. You’ll find a handy contact form at the bottom of this page. Thanks in advance! My friend Chris Abbott visited last night, and with his help I was able to make a final decision on my choice of couplers. 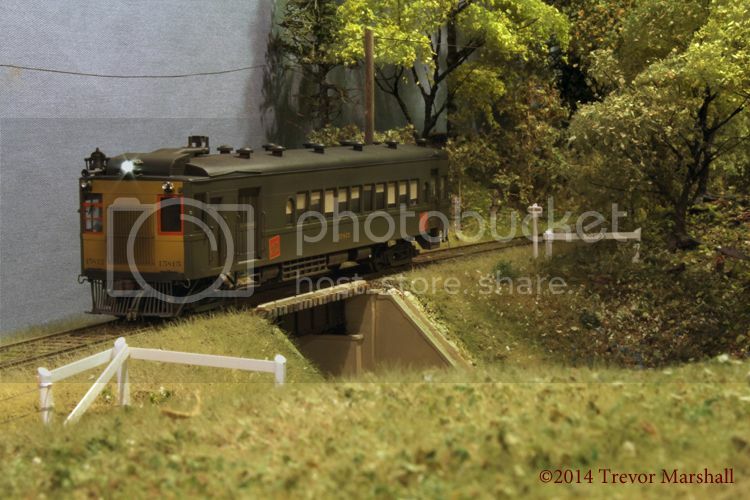 As the lead photo suggests, I’ve decided to standardize on the Kadee 808 – the S scale coupler (in brown) that I used when I started this layout. 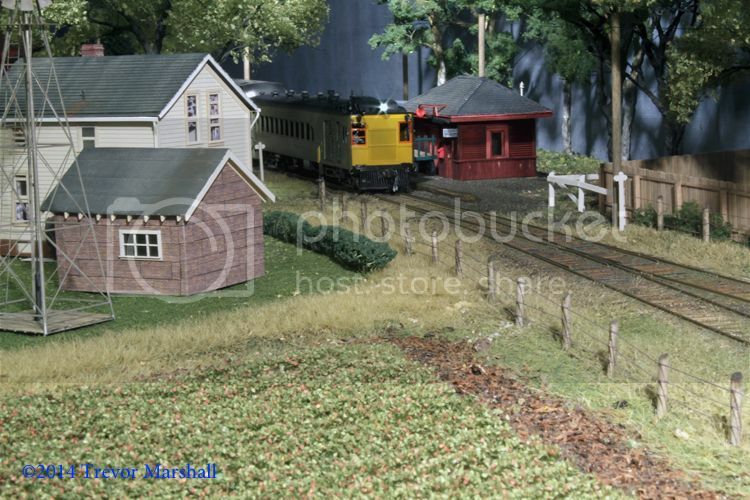 When I look at equipment on the layout, my eyes are drawn to things like the logo, the reporting marks, the roof, the weathering and so on. The coupler is really an afterthought – and when a car is part of a train, the couplers are practically invisible. The bottom line is that visually, the larger-than-life 808 couplers don’t bother me. Operationally, however, they’re much easier to use than my alternate choice, the Kadee 5. Chris and I switched two trains in St. Williams – one equipped with Kadee 5 couplers, the other with Kadee 808 couplers. Chris and I both found that the 808s were easier to uncouple because they are easier to see and there is more room in the knuckles to position an uncoupling tool. Since I’ve determined that for me, a reliable coupler is The Least Disruptive Option, the 808 is the obvious choice. I’ll start to convert back my equipment this week. As with everything in this hobby, what works for me may not work for you – and vice-versa. Chris and I also had fun running my in-progress gas electric. Before Chris arrived, I was able to get some of the fine detail painting done. I’m particularly pleased with how the orange window frames came out. I also finished the headlight by adding some Kristal Klear around the LED to fill the gap between LED and headlight housing. I’d read that these models could not pull the skin off a pudding – and the gas electric has only a single power truck. So we were both quite surprised when, during testing, the doodlebug walked away with two of my passenger cars in tow. They’re not only heavy, but the compensated trucks add a fair bit of drag – so much so, that my CNR 10-wheelers* have trouble pulling a train. But the gas electric had no problem with them. In fact, it ran better with the additional weight in tow. We think the train brought more weight to bear over the rear truck, which improved electrical pick-up. As a result of this testing, I’ll add some weight over the rear truck next time I have the unit apart. Thanks again, Chris – great, as always, to see you and your help in coming to a coupler decision was greatly appreciated! I’ve mentioned this book a few times recently as I’ve shared the work on my CNR doodlebug. This is an excellent resource for anybody interested in the development of self-propelled cars in Canada. I’ve been aware of self-propelled alternatives to traditional, locomotive-hauled passenger trains almost as long as I’ve been in the hobby. But for me they were always a footnote or a sidebar. Until I read this book, I did not appreciate the variety or the ubiquity of these vehicles on the CNR, its predecessors, and its subsidiaries. While I’d heard of gas electrics – and I’ve even owned several models, in various scales, over the years – the CNR experimented with a lot of other approaches. 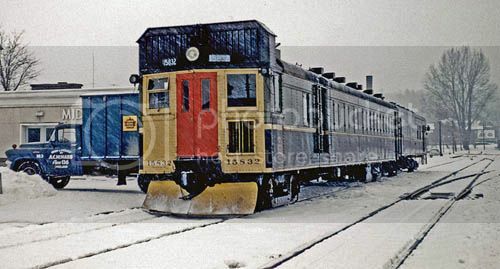 The most successful early cars were diesel electrics, which paved the way for later acquisitions of Budd RDCs. But I was surprised to learn that the CNR also rostered – at one time, anyway – rail buses, Brill model 55 cars, Evans Autorailers, and others. 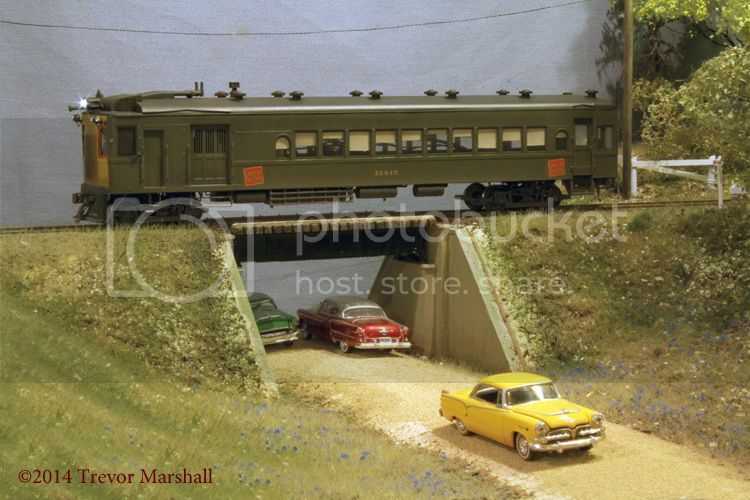 And this book introduced me to the Storage Battery Car: Think of an interurban, but with a rack of batteries under the floor instead of an overhead wire. The greatest variety of self-propelled equipment was found on the CNR in the 1920s and 1930s. This is a period that relatively few hobbyists model: We favour the “steam-diesel transition era” or more modern settings. But having read this book, I have a new appreciation for just how interesting an earlier-era layout could be. Not that I’m going to rework Port Rowan, mind you. But the addition of a variety of self-propelled vehicles would certainly help one create a unique layout. Meantime, this book has proven valuable to me as I work on my own doodlebug. I’m glad I grabbed a copy. 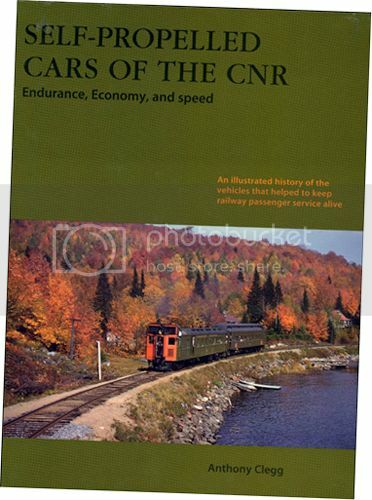 If you want to know more about Self-Propelled Cars of the CNR, click on the book cover (above) to visit the publisher’s website. … and was pleased to see nice straight lines with sharp edges between colours. This was my first experience with Tamiya masking tape and I’m darned impressed. I’m a convert! After a conversation with Pierre Oliver about possible approaches to painting this model, I want to give the green body paint several days to cure completely before I apply decals. It turns out we’ve both had some problems will decals “silvering” in the past when applying them over Scalecoat paints: Apparently, the problem has to do with the paint off-gassing solvent as it cures, and leaving the paint to cure longer helps prevent this. 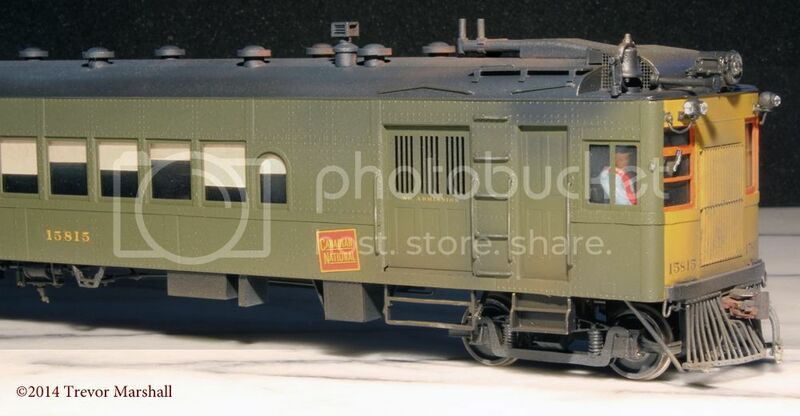 I must also check my decal stock: I believe I have some leftovers from the sets used on my CNR passenger cars, but if not I’ll have to order some from Black Cat Publishing.